How Do Entrepreneurs Identify Market Needs and Opportunities in Business? Cliches are scorned in writing because they tell the reader something they already know in a way they have heard before. However, there is nothing wrong with starting with a familiar premise in order to explore a more complex idea. The cliche Rome wasn’t built in a day is a reminder that big projects take time. But let’s also consider how much additional time went into planning every detail of its construction: its ancient buildings had to be designed to last, its boulevards built with an understanding of where people needed to go and how to get them there most efficiently. For entrepreneurs, success begins with clear planning, and that plan is based on market research. Learning how to do market research correctly is one of the foundations of a first-rate business education, and an aspect of Walsh University’s online MBA program that we take great pride in teaching. This article takes a look at the basics of entrepreneurial market research, and how an MBA program can help you develop these skills. What gaps exist in the market that a new product or service could fill? Are there inefficiencies that a new technological or conceptual approach could improve? What is the potential customer base for your business? Where are the investment opportunities? Who can you turn to in order to generate capital? What resources and personnel will you need to make your vision a reality? Market research seeks to answer questions like these by collecting your own data and analyzing the data that has been collected by others. Whether this takes the form of focus group testing or digging into reports by academic or trade organizations, the goal is to achieve a clear perspective. From this, you can develop your own business plan, or evaluate whether your existing business plan is workable. Market research can be divided into primary and secondary research. Primary research means collecting your own data, which can be qualitative or quantitative. Qualitative data includes responses gleaned from interviews, focus groups and surveys. What are potential customers saying about their needs? How do they respond to the product you are pitching them? These insights help you understand the human element of your audience. Quantitative data is looking at the numbers: how many people are visiting your website or searching for a specific keyword? How do your sales figures compare month over month, year over year? Primary research can be conducted directly by setting up interviews, collecting contact information for surveys and looking at tools such as Google Analytics. Entrepreneurs can also contract market research firms to facilitate data collection. Particularly in the beginning, few entrepreneurs will have the resources to conduct broad-ranging quantitative research—it takes a large sample size before reliable conclusions can be drawn from data, and other businesses tend to be protective about the information they’ll allow competitors to use. Secondary research is therefore critical. Not all research sources are created equal, however. While academic institutions and well-established analytics and business intelligence firms often charge a premium for their data, it includes the benefit of being scientific and reliable. There is a lot of information out there, and savvy market researchers rely on critical thinking and their own knowledge to parse the factual from the fabricated. How Can an MBA Help with Market Research? To do your own market research, and to get the best out of secondary data sources, you must have a thorough knowledge of business and a strong familiarity with data collection best practices, deductive reasoning and data analysis. Organizational research and analysis is part of our MBA’s core curriculum, introducing students to research methodologies, sampling methods, survey questionnaire design, descriptive and inferential statistics and more. Students have the option of selecting a concentration in marketing, which provides a deeper dive into market research as a discipline. You’ll perform your own research, testing your hypotheses against the empirically sound quantitative and qualitative data you collect. By the end of your studies, you’ll be well-positioned to embark on a career in market research, or to apply what you’ve learned to your own career as an entrepreneur. 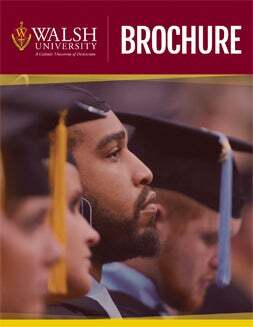 To learn more about Walsh’s 100% online MBA program, please reach out to us today to speak with a representative and browse our brochure. Read our earlier blog posts on Why Get an MBA in Healthcare Management and Top 5 Resume Tips for Recent MBA Grads.